Charter Bus Fort Myers, FL. Fort Myers Charter buses in Lee County, Florida offer group transportation anywhere in the state of Florida, and beyond! 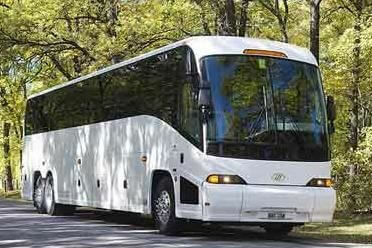 We also have the best shuttle bus rentals for local transportation. Shuttles are great for service to Southwest Florida International Airport (RSW) and Charlotte County Airport (PGD). Our charter buses in Fort Myers are ready to pick you up and drop you off. We provide complete chauffeur services with plenty of room for your luggage. As needed, your driver will even hold a sign up for you in baggage claim. 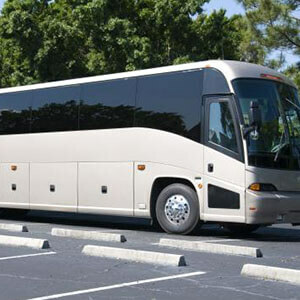 Price 4 Limo's charter bus service in Fort Myers can be used as a fantastic tour bus or activity bus for a group visiting the homes of Henry Ford and Thomas Edison located on McGregor Boulevard. Likewise, charter buses are great for family reunions that begins at the Six Mile Cypress Slough Preserve. Here you can take a lovely stroll through Florida's wildlife and enjoy the natural habitat of birds, butterflies, snakes and turtles as you get re-acquainted with family. You could even hire a Fort Myers charter bus for a trip to the Castle Golf course or for an entertaining night out at the Broadway Palms Dinner Theater. In our luxury buses, you can relax and enjoy the ride to anywhere you want to go. 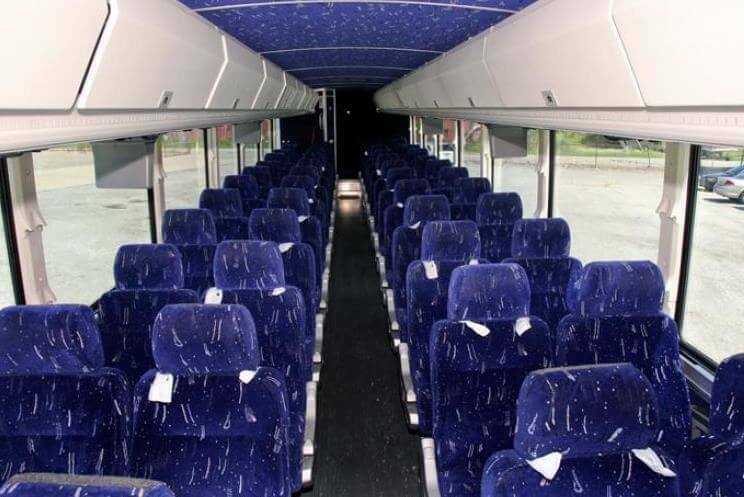 With bathrooms on board, HDTV screens, and full-surround sound stereo – you can enjoy yourself on the bus before even arriving at your destination. Fort Myers VIP Buses in Lee County provide first-rate luxury transportation services for the students and faculty at Florida Gulf Coast University or Southwest Florida College at an affordable rate. They can even be used as Beach Buses to Bonita Beach for Spring Break or a special bus trip across the Sanibel Causeway to escape to Sanibel or Captiva Island, where romance, sunsets, and powdery sand awaits you. And our special transportation shuttle buses will pick you up and drop you off and wait on you hand and foot – for one flat rate. No one should have to worry about finding parking or driving. Just enjoy the sun and the sand. Let our drivers provide you with excellent door-to- door service and VIP treatment and leave all the hassle to us. Students, couples, families, and businesses alike – have used the Fort Myers Buses in Lee County for various functions and holiday retreats. And as you'll see, there are so many things to do in Fort Myers so why not let our skilled drivers take you to all the sights? Take a Shuttle Bus in Fort Myers to Sun Harvest Citrus factory tour – where you can sample all the various citrus drinks and juices Florida has to offer –or let us take you and your band of energized buddies to Oasis Paint Ball Park for a jam-packed fun filled day of sport and fun and paintball madness. Or take our Fort Myers Corporate Bus Service to the Shell Factory or special engagement at the Fort Myers Historical Museum. Even if you're in Fort Myers strictly for business, no problem -- we can shuttle you and your company to one of Fort Myers' convention centers such as the Downtown Fort Myers Harborside Convention Center or College Parkway Executive Center or and then bring you and your team to your hotel suite back at the Crowne Plaza. 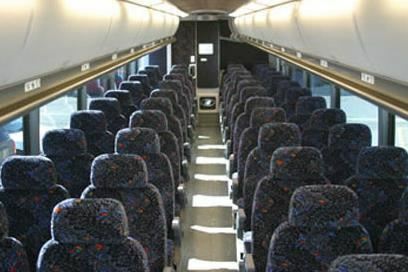 With Fort Myers charter buses everyone will arrive in style and feel as special and relaxed as they should be. Price4 Limo's Fort Myers Bus Service will take you and your guests anywhere in Florida safely and in comfort. Our Driver-for-Hire coaches include high-end courtesy service and extra storage space. 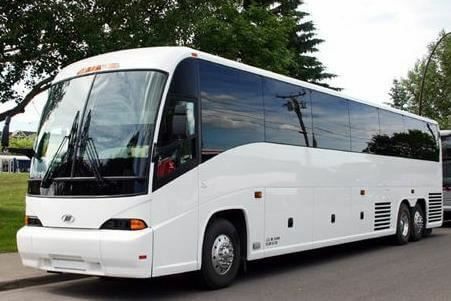 Whether you need to stock up on food at the a local shopping complex or mini-mall or supermarket before heading to the beach for a barbecue or you're on a family reunion or outing to Salsa Restaurant on Boy Scout Drive for a Latin cuisine feast, Price4Limo will find you the very best and most affordable Fort Myers VIP Charter Bus service or Coach available. Don't get stressed out with the madness of Southwest Florida traffic. Stop using other overpriced bus companies in Fort Myers and let us give you the most affordable limousine and bus service that Florida has to offer! Fill in your travel information on this page. Let us know your personal requests and corporate bus transportation needs when your reservation agent contacts you. Get a bus quote instantly on Price4Limo-the best place to book your Coach, VIP Charter or Shuttle Bus Rental Service in Fort Myers, Florida.